I decided to grow a few vegetables this year. It's not something I've done a lot of in my life. I had a large garden for a year or two in the 1980s in Scotland, and I've been around various friends' and family gardens, helping out a bit. My father's family were all keen gardener. Anyway, it was high time. I'm a bit unsure about growing veg in this climate, though. Extremely hot and arid. If you're gardening in somewhere like the UK, you might think that sounds like heaven. There are no slugs or snails, that's for sure, but the challenge is keeping the heat from killing things, and keeping them well enough watered here. So that's where I'm at. I decided I didn't fancy being on my hands and knees, so I created some raised beds out of old tractor tyres. Yes, I've heard the concerns about whether they release bad stuff into your soil. From what I can gather through research, the jury is still out on that one. I figure that this danger is more than offset by the fact that in other ways the garden will be more or less organic. Fresh organic produce is hard for us to get here, so it has to be a bonus. I've known that I should be reading up on the climate, suitable varieties, planting times, buying seeds, etc. but somehow I never got around to any of that. I finally grabbed a bunch of organic seeds from a whole food shop on a visit to the big city, and bought a few industrially grown plants from the village shop. It's a start! Then I fenced off the area around my beds, because no green plant will survive the onslaught of thirty some chickens attracted by moist soil for more than about ten minutes around here. I liked the effect of the fence - it seemed to create a nicely defined space that felt very good. It's just the kind of gardening advice you'd think I'd be interested in - a spirit for everything: carrot spirit, cabbage spirit, mole spirit, etc. It turns out that I'm actually pretty resistant to these ideas for some reason. However, the book is very sincere. Something has told me to keep reading, even though I find some of the author's stories pretty fantastic, just keep reading. I think I'll get what I need to get from this. Sometimes I get a very delayed reaction from things, so we'll see. One thing I did like was her way of being open to these spirits advising her how to proceed with things like when and where to plant, and how to take care of the plants. I definitely haven't heard quite the kind of clear, personal communication from my garden that the author reports, but I have tried to be very open to inspiration and guidance, while taking the basics into account. Sometimes, I feel that it's coming through. The other day, I went out with my seed packets, an offering of fruit juice, a candle, and so on. I created a small ad hoc ritual and opened myself to any requests my plants might have for me. I planted one bed with greens - lettuce, spinach, rocket - laying them out like the spokes of a wheel and putting them where it felt right to do so.The ritual and the time I spent planting these left me feeling really good. Since then I've prepared some extra containers for strawberries and eggplant/aubergines but am now waiting out a last little spell of cold weather to plant them out. Those of you who have been following my journey the past few years may know that I've been struggling with the change in climate and landscape since my move from Scotland. In spite of having 160 acres or the stuff, I find it hard to feel close to the land much of the time. I've really been working at all this, and things have been slightly better lately, but I feel that creating my little garden space is taking me in the right direction. The fact that I've had to enclose it with a fence has created something that feels personal and manageable and slightly private. It feels like somewhere I might enjoy spending time outdoors. Many different people have told me that going barefoot would help connect me to the land. Now, I actually love going barefoot. That was a big part of my "hippie" youth! 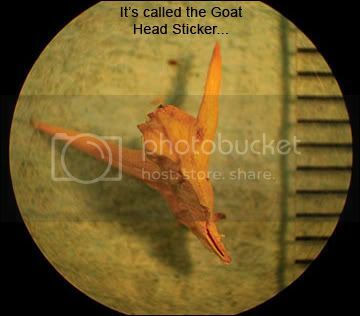 However we have so many of those lethal "goat head" stickers here, that I haven't felt able to follow through with this advice, much as I'd love to! As I was preparing for my ritual, I looked around my little plot and realised that there were few, if any, stickers in that area, so off came my shoes and it was fine. Heaven! Something else to enjoy and be thankful for.